I wore this outfit to the Brighton Blog Meet a couple of weeks ago, see post about it here. My friend and I had fun taking these shots outside The Globe Pub afterwards - note the pigeon making an appearance in one of the shots. Thought it was quite funny considering the quote on my phone case, he must have known! My Personalised iPhone Case is from Go Customized* an online shop where you can make your own phone case. 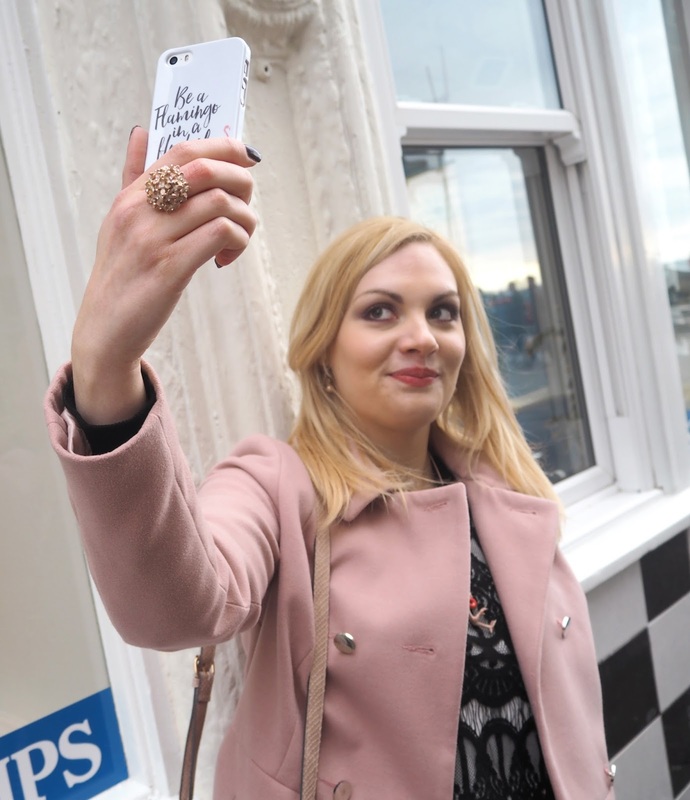 You can personalise your case in pretty much anyway you want! From holiday snaps, pictures of your friends, family or children to a quote or design you love on the Internet. 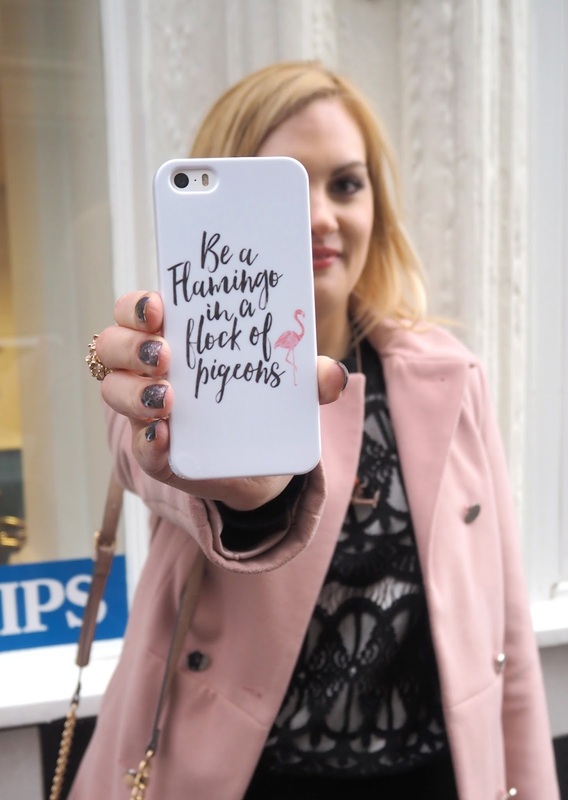 The case I've featured in my outfit shoot today I personalised using one of my favourite quotes "be a flamingo in a flock of pigeons" and an image I found on Pinterest! I loved the script like text with the little flamingo image and I thought it would make for a lovely phone case for my iPhone 5s. If you're going for your own design make sure your image is as high resolution as possible. GoCustomize do have a selection pre made designs you can use as well. 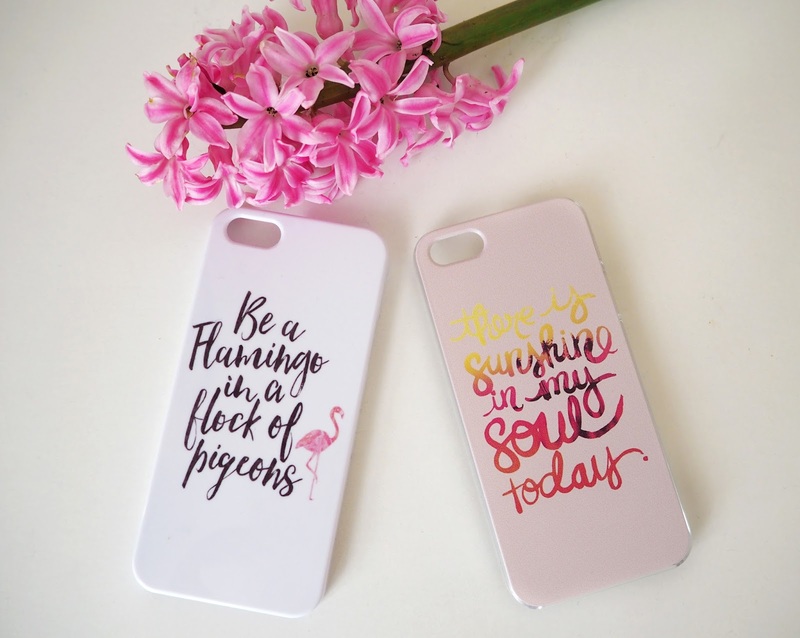 The second case I went for is from this range, another quote "there is sunshine in my soul today". I really loved the ombré look through the text from the sunset and palm tree. The code is valid from April 6, 2016 - April 20, 2016 so whether it's for yourself or for a gift, get customising! I have long been lusting after the beautiful porcelain necklaces on AndMary particularly the animal ones. 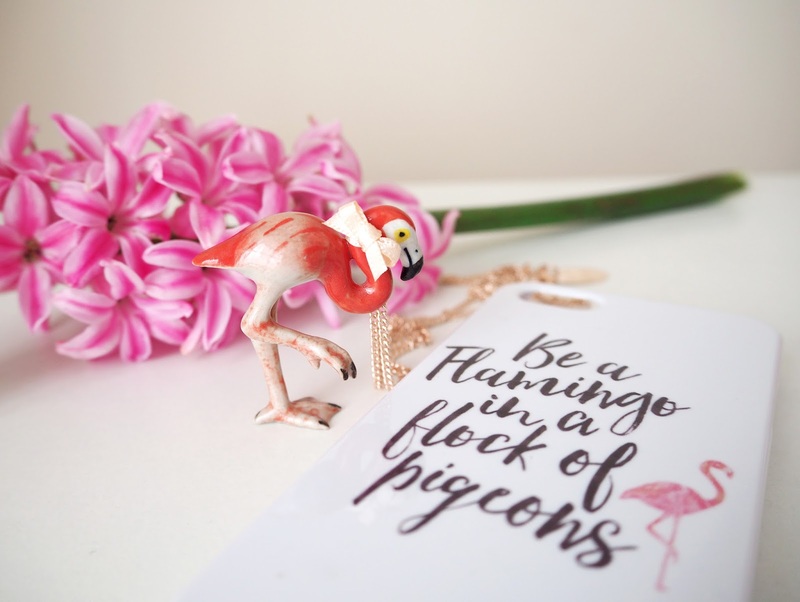 I finally made a purchase recently which included this gorgeous flamingo necklace, the colours are so vibrant and I love how it has a little bow around its neck. You get to choose the necklace length and the finish you want, mine is rose gold. It fits in perfectly to my be a flamingo theme too! Next on my wishlist is this fabulous unicorn necklace that's just been added to their website. 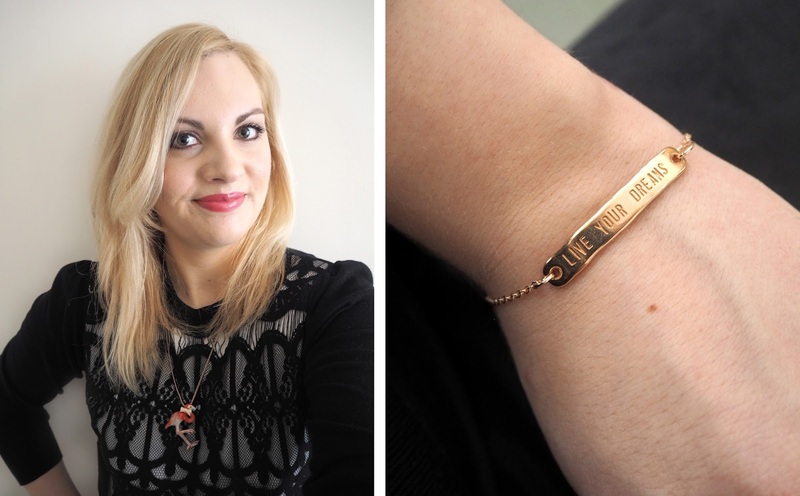 The other pieces of jewellery I'm wearing are handmade by me from my new Rose Gold collection which you can buy in my Etsy Shop, more being added over the next week! 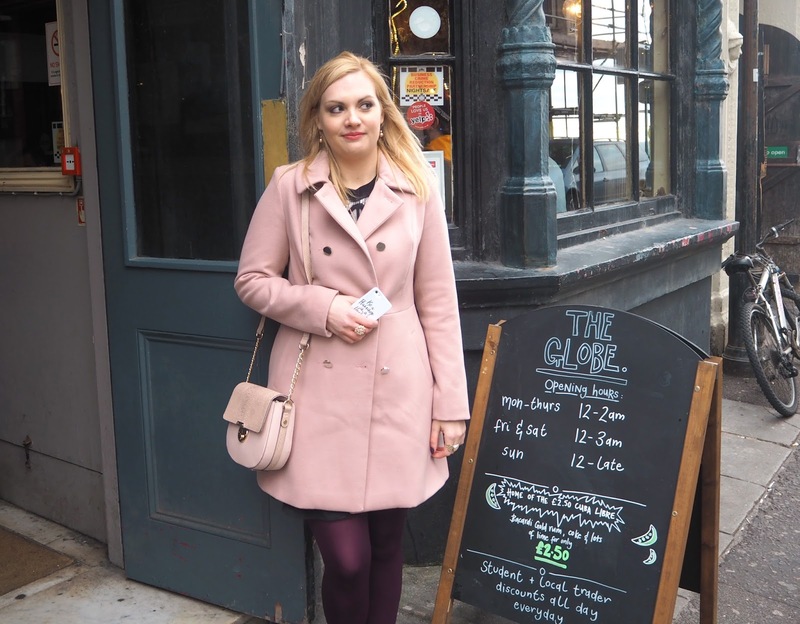 I wore my go-to coat of the moment, my pink one from Oasis. I just love it, I never thought a pink coat could go with so many outfits! 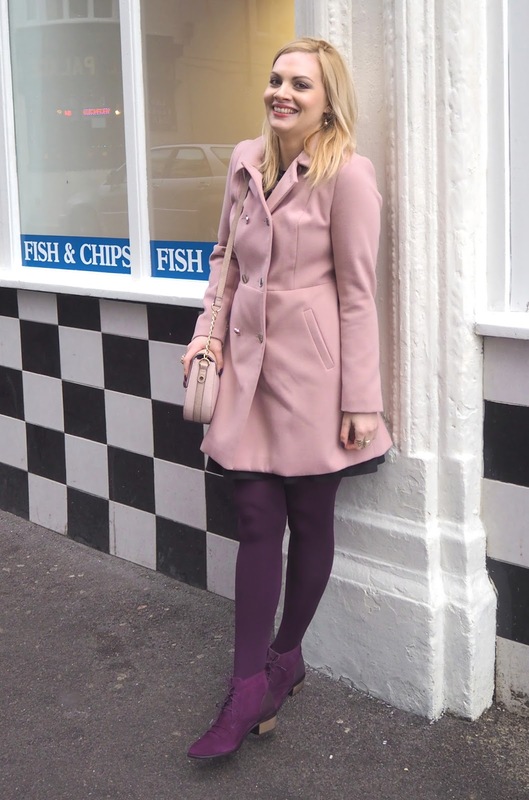 I matched my tights to my purple boots which are by a new company I've discovered called Moshulu. Their stores are mainly located in the South West of the UK but I found a store in Horsham where I got these boots on sale, I think they were reduced from £89 - £22 crazy discount! With my joint problems I find it difficult to find shoes that are comfortable and supportive whilst still looking stylish. These tick all the boxes for me! You can find Moshulu shoes online if you wish to check out their range. 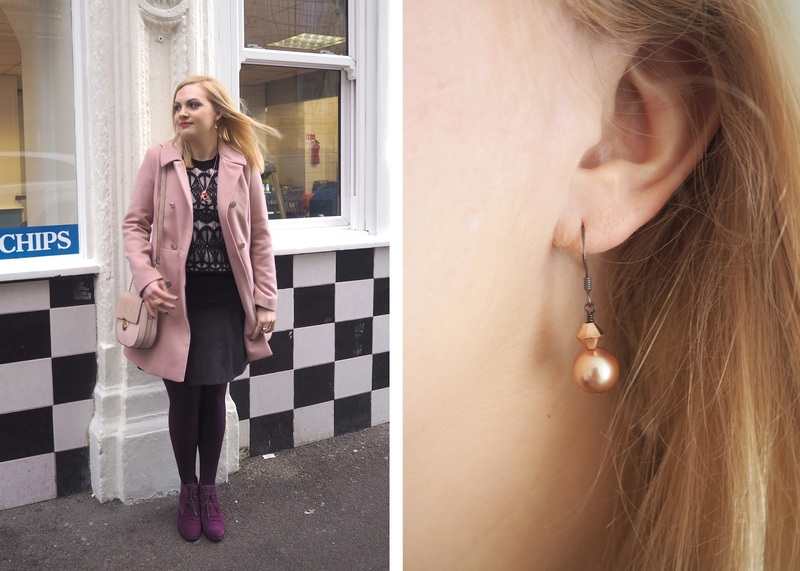 What are your thoughts on my latest outfit of the day & Flamingo accessories?